The Splendor was launched back in 1994 and is known as the spiritual successor to the CD 100. It is one of the oldest commuter bikes sold in India and continues to clock over a million units a year. The Splendor is available in many different avatars, one of which is the Splendor Plus. Despite being a bit old, the Splendor Plus is decently loaded with standard features. 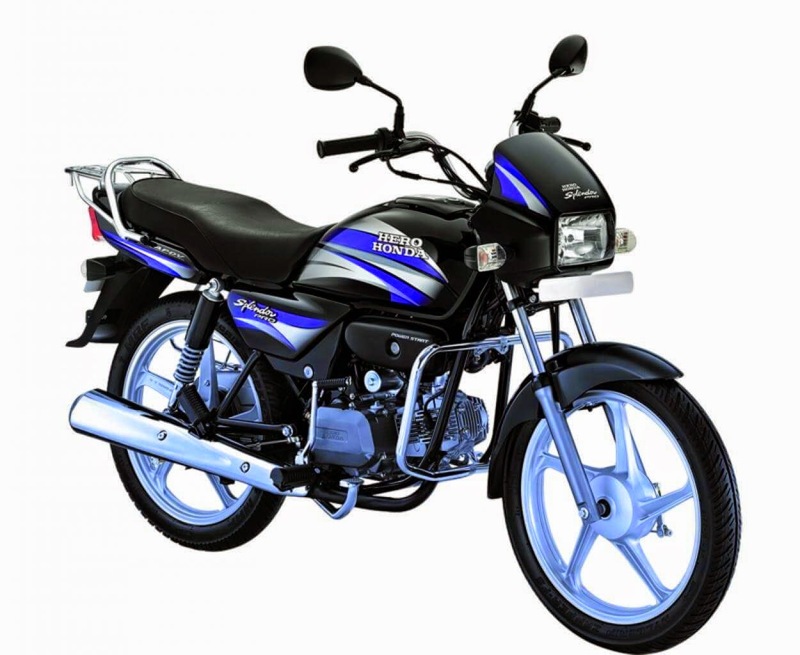 The bike is also offered with optional alloy wheels, and a stylish instrument console. The bike is powered by the tried and tested 97cc air-cooled four-stroke single cylinder engine, which is also found in a host of other Hero bikes. This engine produces 7.4bhp 7.95Nm of torque. With emphasis on squeezing out maximum efficiency, the engine allows the Splendor Plus to offer decent performance and drivability. Though unlike the Splendor Pro, this bike does not offer adjustable hydraulic shock absorbers. The Splendor Plus is available in six colour schemes namely Candy Red, Hi Granite Blue, Cloud Silver, Palace Maroon, Black with Silver and Black with Purple. Priced at Rs 43,750 (ex-showroom Delhi) for the base version, the Hero Splendor Plus competes against the Bajaj Discover 100 and the TVS Sport in the hotly contested commuter segment. Hero MotoCorp had recently rolled out the all-new “Splendor iSmart” with ‘i3S Technology’ (Idle Stop and Start System).The bike was unveiled last year and was also showcased at the Auto Expo 2014. The bike is powered by a 100 cc air-cooled, 4 stroke single cylinder engine that delivers maximum power of 7.8 Ps at 7500 rpm and maximum torque of 8.04 Nm @ 4500 rpm. i3S is a revolutionary green technology that automatically shuts the engine when idling and turns it on, when needed, with a simple press of the clutch, giving more mileage in congested cities. The Splendor iSmart is elegantly designed for universal appeal. Its aesthetic features include exciting body graphics, stylish alloy wheels and meter console. Splendor iSmart is now available at all Hero dealerships across the country, and is aggressively priced at Rs. 47,250 (ex-showroom Delhi), Rs 49,967 (ex-showroom Mumbai), Rs 48,192 (ex-showroom Chennai), Rs 48,549 (ex-showroom Kolkata) and Rs 48,014 (ex-showroom Bengaluru). It is available in four exciting colors with techno graphics – Sports Red, Leaf Green, Excellent Blue and Heavy Grey.